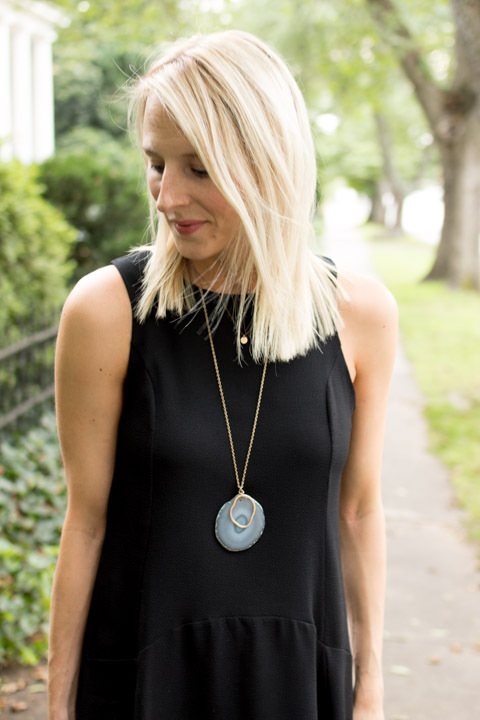 Hot summer days call for the most comfortable and minimal dress I can find in my closet. 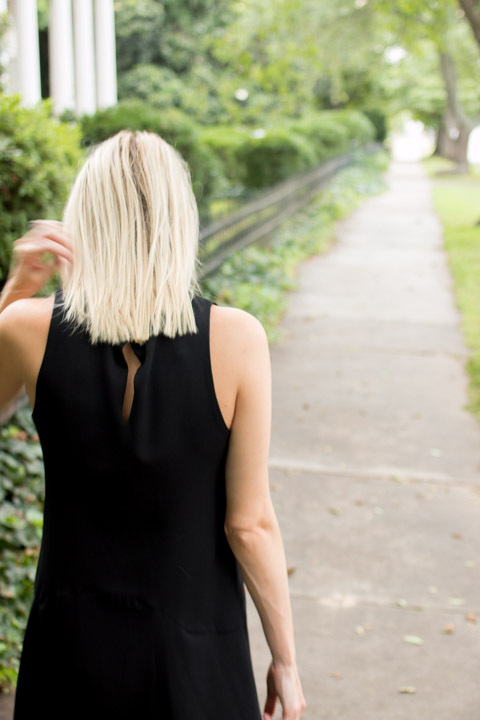 I love the ease and versatility of a simple, black tank dress. And let's talk about these shoes! I had been looking for lace up sandals that I could wear with a lot of things and lo and behold I walk into Old Navy and find these babies. The color sold me, I just couldn't say no! The days are still hot, but summer won't last forever, so I'm taking advantage of the weather and getting all my dress wearing in while I can.